Charles was born October 15, 1951, in Schenectady, New York, and his family traded snow for sun a few years later, moving to Phoenix, Arizona. After graduating from Central High School, he attended Arizona State University, earning his bachelor’s and then, in 1977, his master’s degree in music. During his college years, he played saxophone in a rock band called Christopher Blue. In 1977, Jana Jennison, who fell in love with him and his music while both were at ASU, became his wife. In the late 1970s, Charles and Jana moved to Minneapolis so that he could study at the University of Minnesota with composer Dominick Argento. 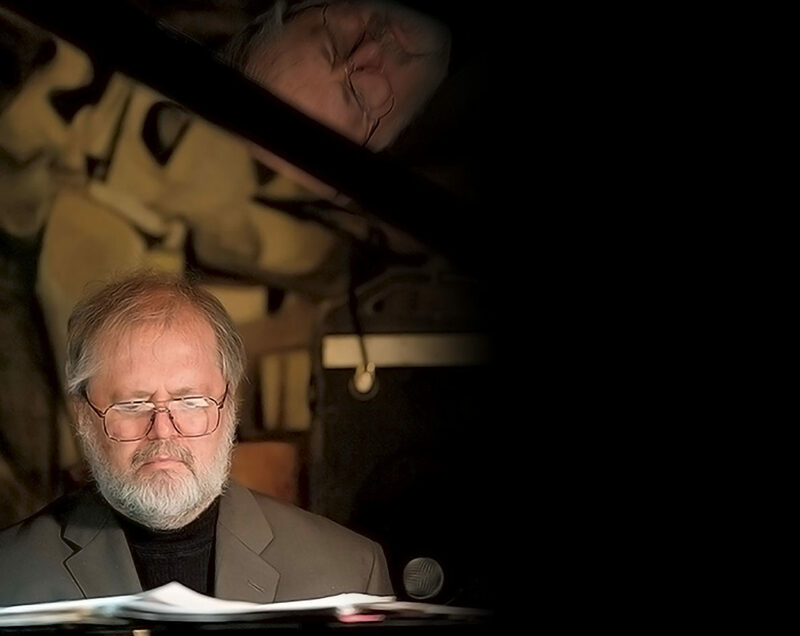 After completing his doctorate, Charles went on to teach at Cal State Bakersfield, DePaul University, and finally Washington State University, where he served as coordinator of composition and theory as well as professor of jazz keyboards until 2009. The WSU Festival of Contemporary Art Music, which he founded in 1989, reflects his commitment to the continued life of classical music. Along the way, he held residencies at Yaddo and Wolf Trap, traveled to the Montreux Jazz Festival as the first director of jazz studies at DePaul, and spent summers teaching at the Interlochen Center for the Arts. In his classical compositions, Charles aimed for, in his own words, “an equilibrium of intellect, emotion, and intuition,” and he identified Bartók and Stravinsky as key influences. Among recognitions of his music were first prize for a brass fanfare for the fiftieth anniversary of the United Nations, a commission from the king of Thailand, a recording of his Concerto for Piano and Chamber Orchestra by members of the Chicago Symphony Orchestra and the Contemporary Chamber Players of the University of Chicago, and two CDs of his jazz compositions and arrangements. As a jazz pianist, he was a regular at Rico’s in Pullman and other venues, both local and national. Charles was immensely proud of his son Forest, relished family traditions and the Christmas season, appreciated the harmonies between music and math, and passionately loved teaching. The fun in his life spanned from hunting rocks as a child with his family to mining sapphires in Montana as an adult, from constructing a short-wave radio and a soapbox derby car with his mother to building a backyard observatory for star gazing, from gathering pollen samples for high school science class to collecting illuminated manuscripts of the Middle Ages. He enjoyed snorkeling in Hawaii and savored lavish breakfasts and Reine de Saba cake at every opportunity. Charles was preceded in death by his father, Scott. He is survived by his mother, Helen; his wife Jana, a journal editor in the WSU Department of English; his son, a Seattle student pursuing a neuroscience degree; his sister, Nancy, a gifted oboist; a number of beloved nephews and nieces; and his shelties, Snow and Sophie. Family, friends, and colleagues will miss his wit, generosity, and commitment to the musical arts. His life was rich and precious. Sample Charles Argersinger’s work on his legacy website.